SeenThroughGlass Ep. 23 – Borrowing a Ferrari F12berlinetta for the Day! Sam turns down driving a Lambordghini Huracan to get behind the wheel of the king of TrackWorthy daily drivers, the Ferrari F12berlinetta. He takes the beast to accompany John Bourgerie of Modball fame on his mission to procure a new epic ride at the Beverly Hills Car Club. 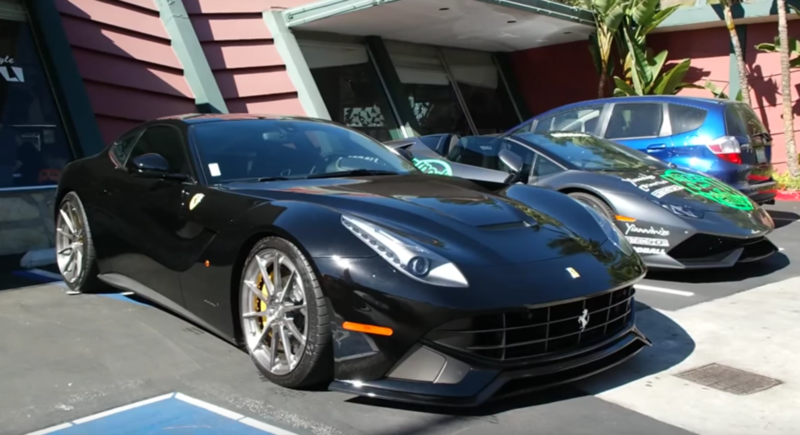 We all know the Ferrari F12berlinetta’s mind-blowing stats by now: a naturally-aspirated 6.3-liter V12 engine producing 730 horsepower and 509 lb-ft. of pavement-melting torque, which can rocket the coupe from zero to 60 mph (0-100 kph) in 3.1 seconds, from zero to 124 mph (0-200 kph) in 8.5 seconds and to a top speed of 211 mph (340 kph). But we haven’t yet experienced Sam’s reactions to driving one around town. Let’s see those!